Walden: $32 trillion Gov’t run health care plan? 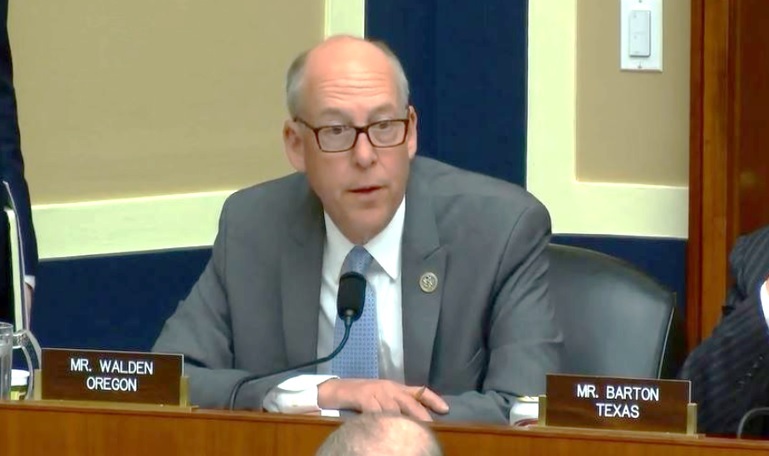 Representative Greg Walden (R-Hood River) raised concerns about a $32 trillion government-run health care system during a hearing before the House Energy and Commerce Committee. “The latest ‘solution’ from the Democratic Party is a government takeover of healthcare, called Medicare for All,” said Walden. Walden called for a hearing to examine the implications of a Medicare for All proposal that is supported by many Democrats in Congress. “We know that this plan would take away private health insurance from more than 150 million Americans, end Medicare as we know it, and rack up more than $32 trillion in costs, not to mention delays in accessing health services,” Walden said today. Left-leaning think tanks like the Urban Institute have stated that a Medicare for All proposal could cost taxpayers as much as $32 trillion over ten years, and some Democratic lawmakers have acknowledged that the proposal would end private and employer sponsored health care. Walden said that a hearing is needed to give Americans a full picture of what such a proposal would mean for their health care and their family budgets. During the hearing, Walden stressed the need to address what he called “out-of-control costs of health care”. Walden has heard from Oregonians who are concerned about rising health care costs, and addressing this issue is a top priority for Walden. In the last Congress, Walden led the effort on several proposals to reduce health care costs for consumers, particularly costs related to prescription medications and treatments. Under Walden’s leadership, Congress passed into law a modernization of the Food and Drug Administration (FDA) in 2017. This law helps lower the cost of important medication and devices by streamlining the approval process for generic alternatives. The FDA approved 971 generic drugs in 2018, the most in history due in part to new fast tracks for generic competition created under Walden’s legislation. Walden also helped pass into law legislation that bans the use of so-called “gag clauses,” which restrict a pharmacist’s ability to inform a patient that their drug would be cheaper if they paid out of pocket than if they paid through their insurance. Walden first heard about this problem from an Oregon pharmacist, who said that gag clauses prevent pharmacists from fully disclosing pricing options to patients in need. “The fact of the matter is that for too many Americans health insurance coverage exists solely on paper because health care costs and high deductibles are putting family budgets in peril,” said Walden.